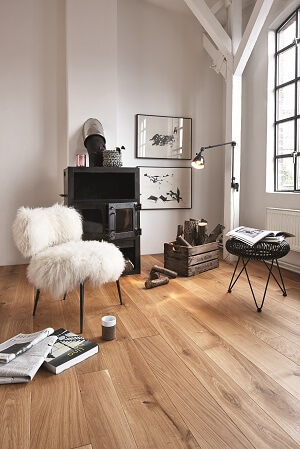 Mid tone flooring is a timeless choice for those that like the warmth of wood with and can a more neutral pallet to work with. 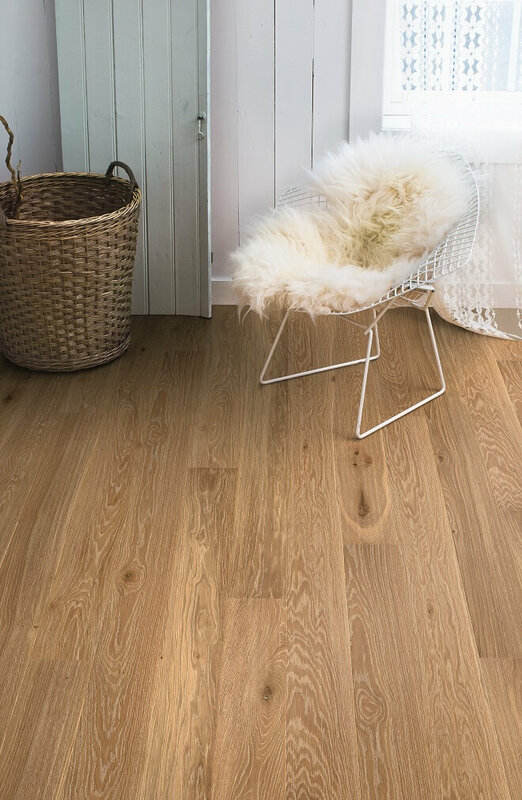 The possibilities are endless when it comes to the range available from our Calm timber with consistent growth, free of knots, our Living range with a natural grading with small to medium knots to our Rustic which has vivid grain and larger knots. Each creating a beautiful statement floor. 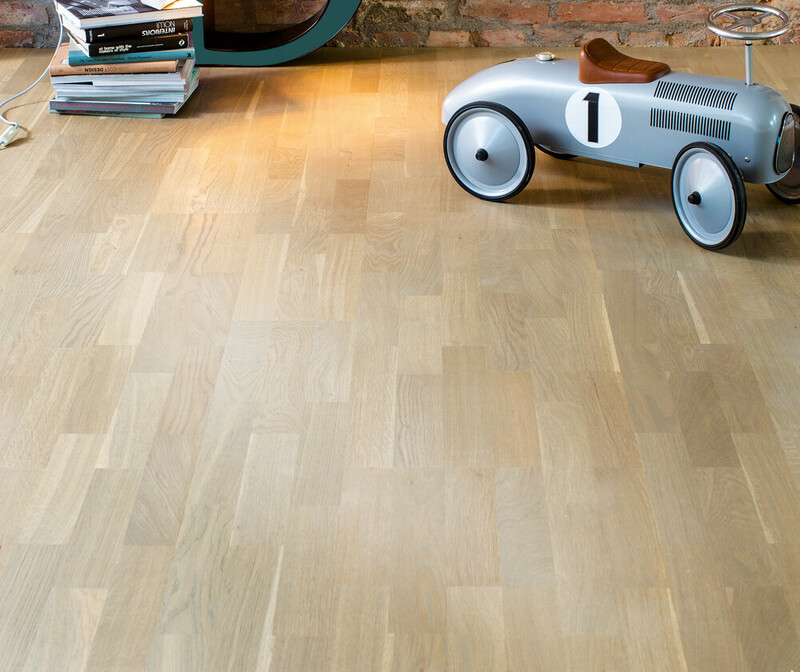 Depending on your lifestyle we have a variety of options for you when it comes to your choice of surfaces. 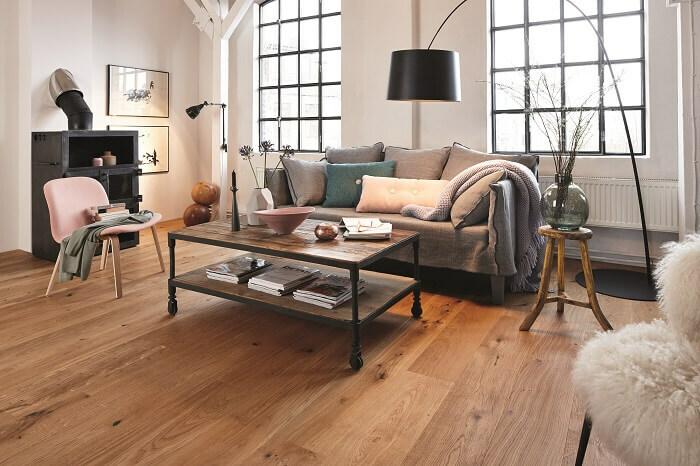 Our oil-treated floors emphasise the character of the wood and give hardwood flooring a very natural feel. Lacquered surfaces are easier to care for. You can choose between a glossy lacquer which is a silk like finish or a matt lacquer which makes the surface look oiled depending on your preference. 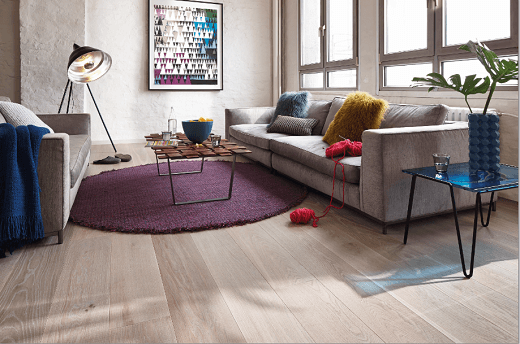 All our engineered floors have a patent protected secure fit system that ensure the highest standard of fitting so that the timbers don't buckle & warp under the pressure of day to day living. 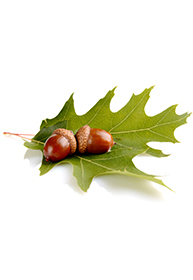 Our fitting service gives extra piece of mind and a guarantee should anything go wrong.